New from Raven's Gods of Egypt nogi series. 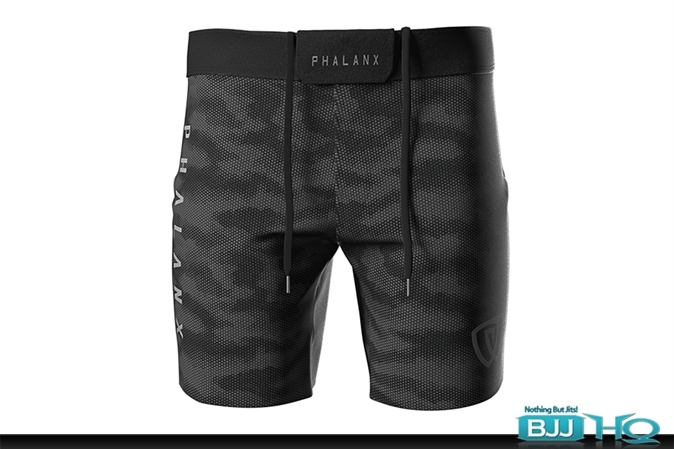 Q. Amazes me that companies don't do tiers of loudness when designing rash guards and other apparel. If this rash guard just had the blue and white script on . 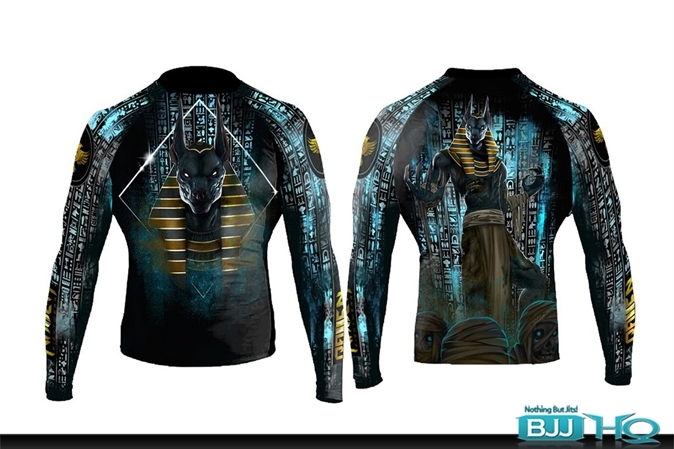 . .
A. Amazes me that companies don't do tiers of loudness when designing rash guards and other apparel. If this rash guard just had the blue and white script on . . . Comment. Amazes me that companies don't do tiers of loudness when designing rash guards and other apparel. If this rash guard just had the blue and white script on . . .
Q. I've got a little bit of scalp psoriasis. For me, it was a good option due to the tea tree oil anti-fungal effect. Everybody's different, though. A. I've got a little bit of scalp psoriasis. For me, it was a good option due to the tea tree oil anti-fungal effect. Everybody's different, though. Comment. I've got a little bit of scalp psoriasis. For me, it was a good option due to the tea tree oil anti-fungal effect. Everybody's different, though. Amazes me that companies don't do tiers of loudness when designing rash guards and other apparel. If this rash guard just had the blue and white script on the back and arms, I'd be all about it. Of course, there probably are people that want a giant dog pharaoh on their chest, but how can you be sure? Maybe you could do a more muted version as well, rather than assuming everybody wants a rash guard that's equivalent to a face tattoo. Q. I think its pretty sweet. If it were the short sleeve version I. . .
A. I think its pretty sweet. If it were the short sleeve version I. . . Comment. I think its pretty sweet. If it were the short sleeve version I. . .
Q. One too many anubis on there. The front should just be black. Maybe have the blue hieroglyphics on it. A. One too many anubis on there. The front should just be black. Maybe have the blue hieroglyphics on it. Comment. One too many anubis on there. The front should just be black. Maybe have the blue hieroglyphics on it. Q. You're around my size and an A1L fits me like a glove. I have a 32" inseam, 5'9", 160lbs. A. You're around my size and an A1L fits me like a glove. I have a 32" inseam, 5'9", 160lbs. Comment. You're around my size and an A1L fits me like a glove. I have a 32" inseam, 5'9", 160lbs. Q. They have different waistbands if that's what you mean. The graphics on the legs are the same though. A. They have different waistbands if that's what you mean. The graphics on the legs are the same though. Comment. They have different waistbands if that's what you mean. The graphics on the legs are the same though. One too many anubis on there. The front should just be black. Maybe have the blue hieroglyphics on it. Q. You won't be disappointed, great price too! ?? A. You won't be disappointed, great price too! ?? Comment. You won't be disappointed, great price too! ?? Q. It's only a deal if you ship it to a US address. Once it crosses the border shipping is more & you pay duty(maybe). A. It's only a deal if you ship it to a US address. Once it crosses the border shipping is more & you pay duty(maybe). Comment. It's only a deal if you ship it to a US address. Once it crosses the border shipping is more & you pay duty(maybe).